Running a small retail store is tough these days, thanks to all of the huge corporations that have been taking over the marketplace and luring customers away from small businesses because they’re able to provide plenty of products at much lower prices. But if you use the right strategies, you can defy the odds and still gain a huge customer base that supports you and the work you do. Home improvement stores that offer unique products, such as motorized blinds, which are not easily found elsewhere, have an advantage over others, so always try to find items that you can sell in your store that will entice customers to come in and keep coming back while also referring your business to their friends and family. 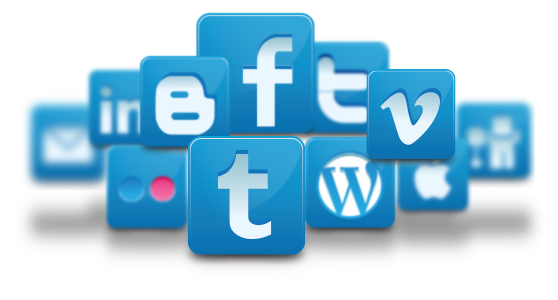 In addition to making your retail store an inviting place that’s valuable to your customers, you also want to further promote yourself by using the best social media websites available today. By doing so, you can reach a whole new audience that’s broader than what you can target locally. You never know how far people will be willing to travel to shop at a truly great store with a knowledgeable staff and low prices, so never hesitate to promote yourself as much as possible online. Continue reading for some tips on how you can go about doing so. Every time that you interact with a customer, whether they make a purchase or not, encourage them to find you and follow you on social media. Have postcards made that you can hand out to these individuals that will provide them with the addresses to all of your social media pages, from your Facebook and Twitter to your Pinterest and Instagram sites. This will make it easier for them to follow you on these pages, and the postcard will help them remember to do so. To get people to follow you on your social media pages, offer discounts and special promotions to those who first sign up, and then continue to offer exclusive deals, perhaps on a weekly basis, to keep people coming back to your pages on a regular basis. When you combine your already great prices and service with these deep discounts, you’ll encourage even more people to shop from your store as opposed to the competition. You may even choose to encourage your followers to share your statuses in return for a discount. This will help you reach an even larger audience at no cost to you. Also, post plenty of photos and creative, funny videos to get people to share your content more readily, with or without rewards attached. By promoting your own home improvement store on social media, you can hit a wide audience who is willing to shop at your location before they look elsewhere. This will lead to increased sales and popularity that will help you keep going strong for years. What you say? share it in the comments below.